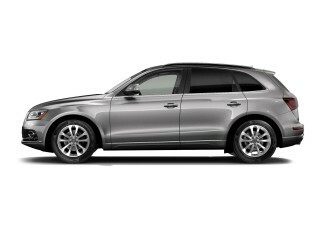 It's all-wheel drive-only if you want the turbo engine that suits this vehicle well, so be prepared to spend some cash. Let's not beat around the bush: The 2017 Buick Envision is the first vehicle assembled in China and exported to the United States by a Detroit-based brand. 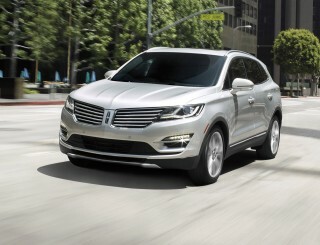 It squares off against segment heavyweights like the Lexus RX and the Acura RDX. It's not technically the first China-assembled vehicle sold in the U.S.; that distinction goes to a specific long-wheelbase version of the Volvo S60. But the Envision is the first offered by a Detroit brand and the first full-line intended for the mass market. It also says the Envision plays a key role in fleshing out the Buick crossover-SUV lineup. 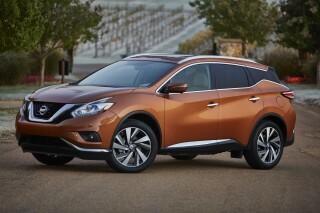 Previously, that lineup was limited to the small Encore hatchback and the big three-row Enclave family wagon. Crossovers currently make up over half of Buick sales, so there's a lot riding on this one. The styling of the Envision fits neatly alongside the Encore and Enclave. Its petite, vertically ribbed grille is flanked by headlights and LED daytime running lights that flow upward into the fenders, without any hint of traditional SUV bluster. The front fenders swell and taper as they blend into the side sills, while a deep shoulder line and rear roof pillar call up some uncanny BMW-like cues. At the rear, LED accent lights are joined by a wide metallic bar studded by another Buick logo. Inside, a dramatic and asymmetric sweep of controls frames off the driver-side door, gauges, and high-set infotainment screen. A set of vents splits off that screen from the console and shift lever, while big swaths of woodgrain trim and ambient lighting dress up the cabin on some versions. Base and Preferred models come with cloth upholstery, while the higher trim levels include leather seating surfaces. For performance, the Envision offers two engines: A 197 horsepower, 2.5-liter 4-cylinder base engine mated to either front- or all-wheel drive, or a 2.0-liter turbocharged 4-cylinder rated at 252 hp and offered only with all-wheel drive. The turbo motor is exclusive to the Premium and Premium II trim levels. All models come standard with a 6-speed automatic, the only gearbox on offer. The Envision weighs in at about 3,800 pounds, and can be configured to tow up to 1,500 pounds. 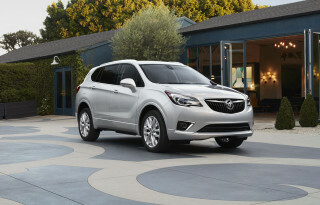 Front-wheel drive is the standard configuration with the 2.5-liter, but the Envision offers what Buick calls a twin-clutch all-wheel-drive system with the turbo. That suggests a measure of torque-vectoring control, where power can be split between the front and rear wheels, as well as between the rear wheels, for better control in corners. The non-turbo all-wheel drive model relies on a simpler all-wheel drive system. Steering is assisted by an electric motor, and incorporates counter-steer ability to negate crosswinds and road shake. Turbo models ride on 19-inch wheels, while other models utilize 18s. The suspension uses front HiPer struts—a more substantial mounting system for the front suspension that can give a more controlled ride—and hydraulic bushings, and a four-link independent rear setup. We've only driven the turbocharged model and can report that it is confident and competent, if not exactly thrilling. But that's par for the course for this segment. Even with the 19-inch wheels, the Envision's ride is compliant and refined. Five passengers will are afforded good space inside the Envision, though it's a bit smaller in some dimensions than GM's other compact crossover SUVs, most notably in the interior's width (although there's plenty of head room). By the numbers, the Envision rides on a 107.9-inch wheelbase, and checks in at 183.7 inches long in all. That's down on wheelbase from GM's Chevy Equinox and GMC Terrain (they check in at about 112 inches between the wheels), but is closer in overall length (at about 2.3 inches shorter). The rear seat on the Envision slides on a track, as in the Terrain and Equinox, for more flexibility for passengers and cargo. The Envision performed exceptionally well in the IIHS' barrage of crash tests, earning the Top Safety Pick+ award when ordered with the available automatic emergency braking system. Federal testers have given it a five-star overall score. Unfortunately, that important safety tech is only available as an option on the range-topping model, which approaches $50,000. 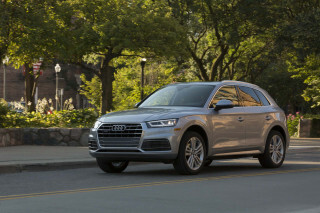 Base prices start closer to $34,000 for the entry-level model, which comes standard with niceties like heated front seats, a power tailgate, and a backup camera. However, it takes stepping all the way up to the Premium II to go full-boat luxury with air conditioned seats, automatic emergency braking, and adaptive cruise control. Fuel economy for the Envision ranges from 22 mpg city, 29 highway, 25 combined for the front-wheel drive model to 20/26/22 mpg for the turbocharged all-wheel drive Premium and Premium II. Clean and simple inside and out, the Envision won't stop you in your tracks—but it's pleasant enough. Looking like the average of a Buick Encore and a Buick Enclave, the Envision fits in perfectly with the rest of the company's crossover lineup. And that should be a good thing for the automaker, since Buick derives well over half of its sales from crossovers. With its waterfall grille and trio of faux portholes, the Envision fits in well with the rest of the Buick lineup. There's a vaguely European look to its side profile courtesy of a delicate line of chrome trim around the windows, as well as a nice kick-up to the rearmost pillar that's somewhat reminiscent of the BMW X3. At the rear, its tail lamps are blobs floating in space, but overall the look is inoffensive and, frankly, rather uninteresting. 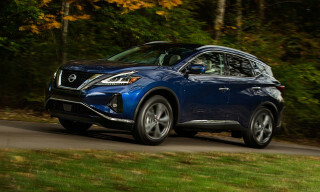 Up against rivals like the Lexus RX and Nissan Murano, which deliver bold styling, the Envision certainly doesn't move the bar for the segment. 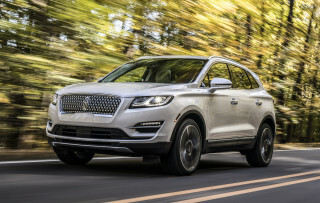 But it's pleasing and should appeal to a wide range of buyers, which is just what Buick, with its big dealer network compared to, say, Lexus, will need. Climb aboard and the Envision is a mish-mash of GM corporate switchgear and a sporty three spoke steering wheel that hints at capability that's not actually there. Brown, black and tan interiors are on offer for leather-equipped models, but the leather trim doesn't feel particularly nice. Sitting high on its dashboard is an 8.0-inch touchscreen that displays Buick's Intellilink infotainment with standard Apple CarPlay compatibility. Although some of its graphics are a little busy, Intellilink remains one of our favorite systems for its simple menus and plug-and-go CarPlay. Below that sits a separate climate control panel with capacitive touch switches for individual temperature controls. All models include heated seats, but harsh sunlight revealed that Buick uses this same panel on Premium II models with air conditioned seats; little pictographs with fans showed up in bright daylight to remind buyers of base through Premium models that they could have spent a few more bucks. The Envision has a particularly nice ride. The entry-level luxury compact crossover segment focuses on coddling and not on corner carving, and to that end the Buick Envision fits in well. We haven't had the opportunity to try out the 2.5-liter Envision, but its 4-cylinder has proven to be a decent, if not particularly upmarket-feeling engine in other GM products. 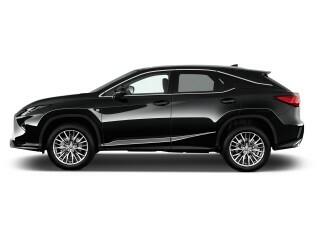 The 2.5-liter engine is rated at 197 horsepower and 192 lb-ft of torque, figures that may be a little low to move a roughly 3,800 pound crossover with much authority. That engine is standard on the bottom three trim levels. Opt for the Premium and Premium II and you'll gain a 2.0-liter turbo, a similarly familiar unit, used in a variety of GM cars—from the Chevrolet Malibu to the Cadillac CT6. In the Envision, it is muffled and distant, emitting only a light thrum under hard acceleration. There's a little bit of turbo lag, but power comes on smoothly afterward, and the 6-speed automatic that's the exclusive gearbox regardless of engine choice delivers smooth shifts. On a gravel road, the Envision turbo we tested had no problems with grip. Its standard all-wheel-drive system is a twin-clutch system that should transfer power quickly between the axles, although it primarily sends grunt to the front wheels in an effort to maximize efficiency and not outright traction. It's worth noting that 2.5-liter models with optional all-wheel drive use a less sophisticated setup to apportion power. The Envision's chunky, three-spoke steering wheel hints at performance, but ultimately this crossover errs far more on the side of comfortable, casual driving than corner carving. There's not much lean into corners, and the wheel does a nice job of keep the crossover as on track in a wide sweeper as a tight switchback. All turbocharged Envisions include Buick's HiPer strut front suspension system, a sophisticated setup designed to counter torque steering primarily on front-wheel drive models. To be fair, no five-seat entry-luxury crossover is especially fun to drive—and that's a hat that the Envision definitely does not wear, either. What it does do well is soak up choppy pavement. Even on our tester's standard 19-inch alloy wheels wrapped in Kumho all-season tires, there was little road noise and pockmarked pavement was absorbed quietly. Although it's a little narrow against rivals, the Envision is very quiet. Like most of its rivals, the Buick Envision is a five-seat vehicle. It makes good use of its interior space, but it is on the narrow side of the spectrum, which gives it a somewhat more confining feel against some wider competitors. Otherwise, it's mostly unremarkable. Our time spent in a Premium test vehicle revealed leather trim that feels rather less-than-rich, especially the nearly $45,000 as-tested price. That's not far off of a similarly-optioned BMW X3, a genuine luxury vehicle that's not especially noted for its value, either. That said, the Envision felt well-assembled, exhibiting not a single creak or rattle even when pushed hard over a curvy road paved in some of the worst asphalt we've seen in a while. Its doors slammed with the kind of "thunk" we've come to expect from General Motors and its materials were generally on par with the class, aside from faux wood where some competitors offer the real McCoy. Simply put, there's no real indication other than the Envision's slightly more narrow body that it wasn't designed primarily for the U.S.; while Buick says it has been earmarked for us from the start, the automaker will sell far more Envisions in China than here. That may help explain its comparatively narrow dimensions. You don't necessarily feel that it's any more narrow up front. The front seats are power-adjustable and heated on all models and, without the optional sunroof, there is considerable head room. Row two offers heating on higher trim levels, reclining backrests, and the bench moves fore and aft to allow passengers to pick their own balance between cargo and leg room. The Envision has aced the IIHS' testing, but not all results are in from the NHTSA. Federal testers gave it a five-star overall score, which includes four stars in frontal and rollover crash safety. The IIHS gives the Envision top "Good" marks in its full barrage of tests. Opt for the available automatic emergency braking and the IIHS says the Envision is a Top Safety Pick+. But ordering up that safety tech adds considerably to the Envision's bottom line. You'll have to add the Driver Confidence Package, which adds automatic braking and adaptive cruise control. The only problem? It's optional only on the range-topping Premium II. Virtually all rivals have done a better job of making this important safety tech available on a wider range of models. Still, the Envision's basic safety package is commendable. In addition to the required dual frontal, two-row side curtain, and front seat-mounted side airbags, the Envision includes a knee airbag for the driver and front passenger as well as seat-mounted side airbags for outboard passengers in the second row. Lane departure warning with a system that automatically nudges the Envision back into its lane is included with the Premium and Premium II trim levels, and a blind spot monitor is standard on Essence and above. A forward collision alert system that sounds an alarm and flashes a red light if it detects an impending impact is standard on Premium and Premium II models—but note that it cannot automatically apply the vehicle's brakes. The Envision offers decent overall visibility, although its roof pillars are thicker than some competitors. A rearview camera is standard across the lineup. There are a lot of Envision trim levels on offer, but value is not this crossover's strong suit. 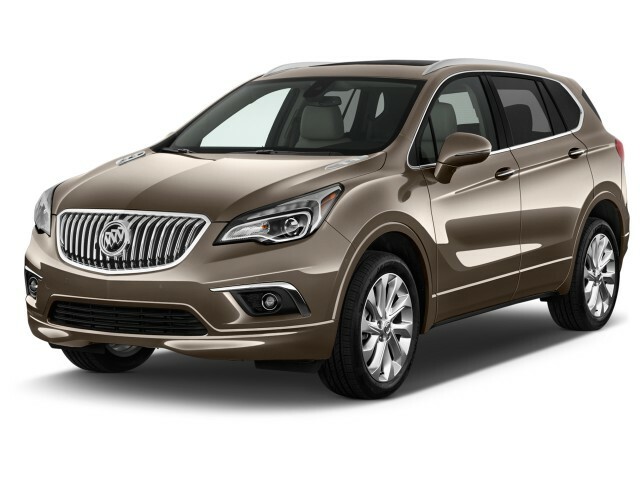 Buick offers the Envision in five trim levels and there's a choice between two engines and two drive systems. 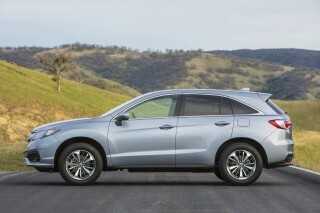 The 2.5-liter engine is standard on base, Preferred, and Essence trim levels. The turbo-4, meanwhile, comes with Premium and Premium II models. Base models are nicely-equipped with dual zone automatic climate control, 18-inch alloy wheels, a proximity key, heated cloth and leatherette front seats (and both front seats are power-adjustable), an 8.0-inch infotainment system that can be upgraded with navigation by a dealer, and a 4.2-inch screen integrated into the instrument cluster. However, the base model is available only in white with a tan interior and solely with front-wheel drive. It's kind of like the original Ford Model T that could be ordered any color you wanted—as long as it was black. Oddly, the Preferred model is spec'd out just like the base, except it is available in a wide range of paint colors and can be ordered with all-wheel drive. The only problem? The Preferred stickers for an astounding $1,800 more than the base, even though it doesn't have any extra features. Here's our tip: You can save a lot of cash if you're fine with a white, front-wheel drive Envision. From there, the Essence adds leather seats, rear cross traffic alert, a blind spot monitor, heated rear seats, a heated steering wheel, and individual climate control settings for the rear seat. Like the Preferred, it can be ordered with front- or all-wheel drive. In addition to the turbo engine and all-wheel drive, the Premium builds on the Essence with Bose speakers, an 8.0-inch screen integrated into the instrument cluster, forward collision alert, and 19-inch alloy wheels. The Premium II adds to that air conditioned front seats, a head-up display, and an adjustable thigh support for the driver's seat. Premium II models offer the Driver Confidence Package, which adds automatic braking and adaptive cruise control, as an option. There's not a lot lacking in the Envision, but we'd like to see the safety tech available at a lower price point. Additionally, only a few options are available on each trim level—while that should make finding the Envision of your dreams on a dealer lot fairly easy, it means you may be saddled with more options than you really want. The base Envision is fairly thrifty, but the all-wheel drive turbo model is thirsty. The Buick Envision is a tale of three powertrains, each with its own fuel economy figures. All models take regular fuel, which is worth noting especially on the turbocharged Envision. Though a few of its rivals use less fuel, they often require pricier premium unleaded that can wipe out any cost savings. The base, Preferred, and Essence models with front-wheel drive are, predictably, the thriftiest at 22 mpg city, 29 highway, 25 combined. Opt for all-wheel drive and those figures drop a little to to 21/28/24 mpg. Given they are the most powerful, it's not a surprise that we see 20/26/22 mpg for the turbocharged all-wheel drive Premium and Premium II. All models include a start/stop system that cuts the engine at a complete stop, which should help save some fuel in town. One smooth ride, inside and out.